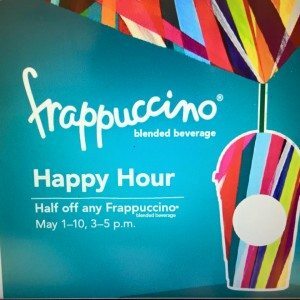 U.S. Starbucks stores will be participating in Frappuccino Happy Hour, May 1st – 10th, from 3:00 to 5:00 PM. 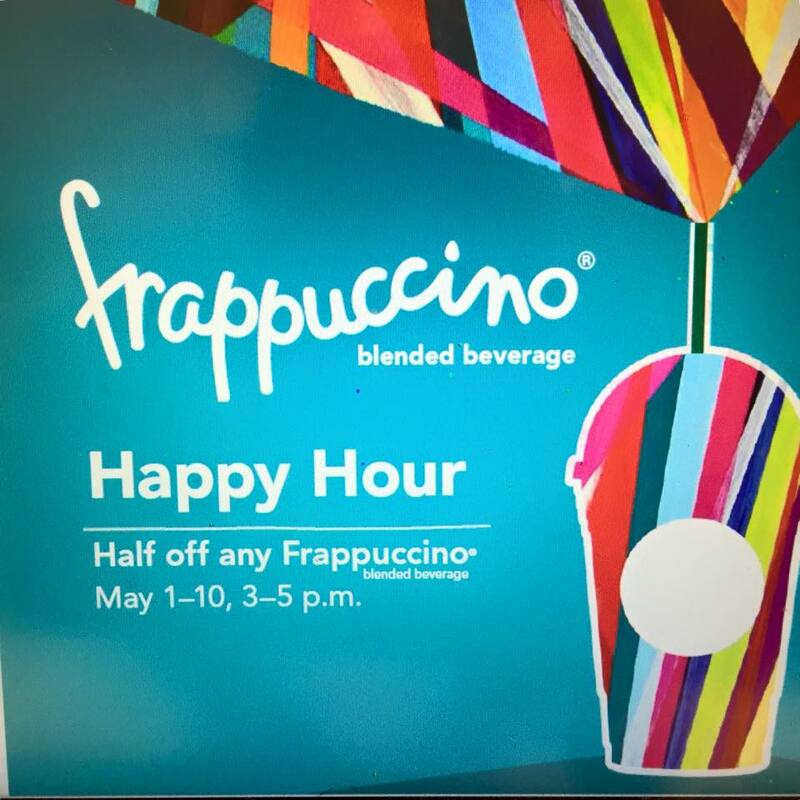 Customers can enjoy half-off Frappuccinos during this Frappuccino Happy Hour. To help you get ready for Frappuccino fun during this amazing spring weather, I’ve started a new column called #FrappuccinoftheWeek. Be on the look out for new featured Frappuccinos every single Monday. Your reader-submitted Frappuccino ideas have been fabulous. I’ll feature two more this upcoming Monday. Please keep in mind, it’s possible that not all licensed Starbucks store may be participating in this promotion. Mark your calendars! May 1st will be here very soon! They really are Marvelous Madeleines by La Boulange. 8 Seahawks-Inspired Frappuccinos: Touch Down! Win a trip to Los Angeles: Bottled Frappuccino & Pandora giveaway. Now you can eat the straw on your Frappuccino! The Cookie Straw at Starbucks is here! Celebrate the Frappuccino’s 20th: Try the Birthday Day Cake Frappuccino March 26th – March 30th. Very excited for the Caramel Ribbon Crunch Frappuccino to come back! Omg, I can’t wait! Many friends of mine are sure to be so glad that its so near! Any info it the hour will be extended for MSR members like last year? May 1st is summer one launch of the s’mores frappuccino no mocha cookie crumble. Is there any other new frappuccinos besides s’mores this year? Is coconut coming back? Does anyone know when the Mocha Cookie Crumble Frappuchino will be back??? Someone told me its a seasonal drink which is why its currently discontinued but when will they be selling it again???? When does cookie crumble come back?